Congratulations to Sue Roegge, winner of THE STORM CHASERS by JENNA BLUM! Louise Miller Is supposed to be working on her acknowledgements. And her second book. Instead she is eating her way through Manhattan (Hand-pulled noodles! Pretzel Croissants! Big Gay Ice Cream’s Salty Pimp!) before beginning her pre-book launch diet of no sugar and flour. 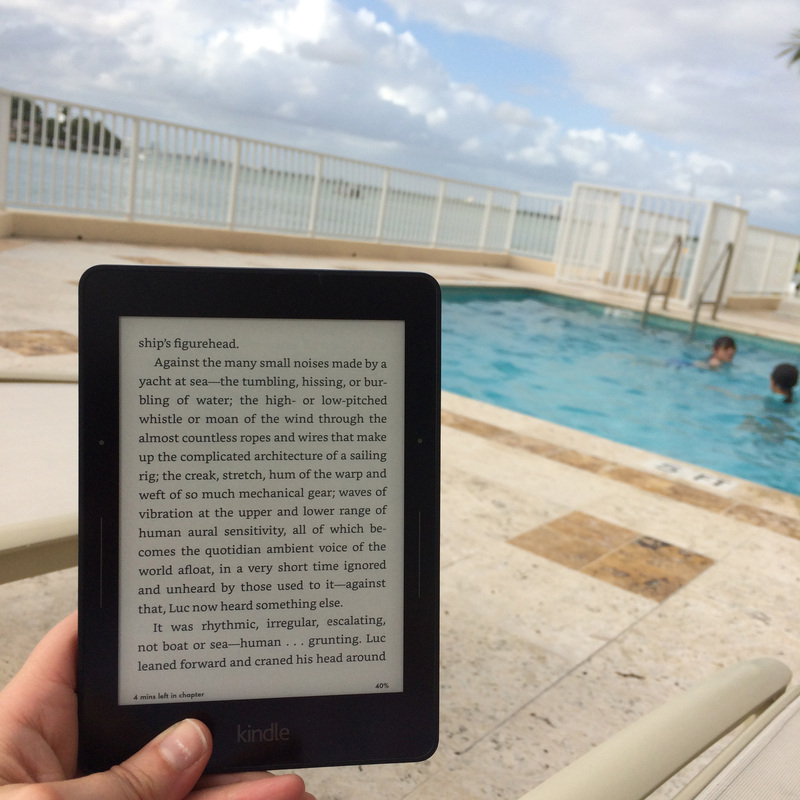 Jennifer S. Brown spent the past week in Miami Beach with her family and high school friends, and she didn’t do a lick of the writing on her “to do” list, although there was excessive time spent around the pool reading on her new Hanukkah-gifted Kindle (thanks Mom and Dad!). Now she’s back home and plugging away on all her writing projects. She’s also excited that her essay, “Here But Not Here,” was just published on Hippocampus Magazine. Heather Young finished her first pass pages, and realized her entire story — literally, the whole damned thing — would be utterly different depending on whether a crucial sentence contains the word “and” or not. Language is powerful! Abby Fabiaschi was tickled to be included in former Debutante and amazing writer Mia King’s blog this week. The picture to the right brought a happy tear or two. Aya de Leon completed a rough draft of her 2nd novel (working title THE BOSS). It is utterly incomplete, heavily cliche and rather incomprehensible at 51,225 words, but it completes her belated December NaNoWriMo & is ready to be heavily revised. Are you funny? If so send your submission to LAUGHING OUT LOUD: A LIZZIE’S BEDTIME STORIES HUMOR ANTHOLOGY. “I’m looking for essays and short stories that will make readers bust out laughing. The kind you shouldn’t read next to a sleeping partner or slumbering pet. No need to scare them awake with a bark of laughter or a case of the giggles. And yes folks, grown women get the giggles too.” Full guidelines on the website. Transitions Abroad‘s Travel Writing Contest is open until January 15. “Professionals, freelancers, and aspiring travel writers are invited to submit an article that describes how traveling in a slower manner and attempting to adapt to the space and time of locals, their culture, and land has deepened your experience of both the people and the destination. One of the results of a slower form of immersion travel is the experience of epiphanies through the senses and spirit that change one’s perceptions of others, of oneself, of the interrelationship, and of the world as a whole. We urge you to translate one or more such transformative moments into a narrative.” No entry fee. See all the guidelines on the website. Popshot, a British-based literary magazine, is open for submissions of short fiction and poetry on the theme of “Adventure.” Poems may be up to 25 lines and short stories up to 2,500 words. Full guidelines on its website.